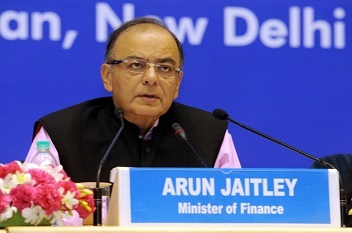 The Finance Minister, Arun Jaitley introduced a bill, replacing the ordinance issued on the rollout of demonetisation, now called, "The Specified Bank Notes (Cessation of Liabilities) Bill" which mandates that following the scrapping of Rs 500 and Rs 1000 notes, the possession of these denominations will be considered a criminal offence. It is also stated that the possession of such currencies will be considered a criminal offence, which could lead to a fine of Rs 10,000 or five times the amount held, whichever is higher. It also mentions that the Indian citizens who had been outside the country betweenNovember 9 and December 30, would be entitled to exchange demonestised notes within the grace period under the proposed rules set by RBI. This would again be another big amendment done by the FinMin under the Modi government, which has already proven to be very effective in terms of curbing concerns related to corruption. It would be interesting to watch out how the bourses react to this.